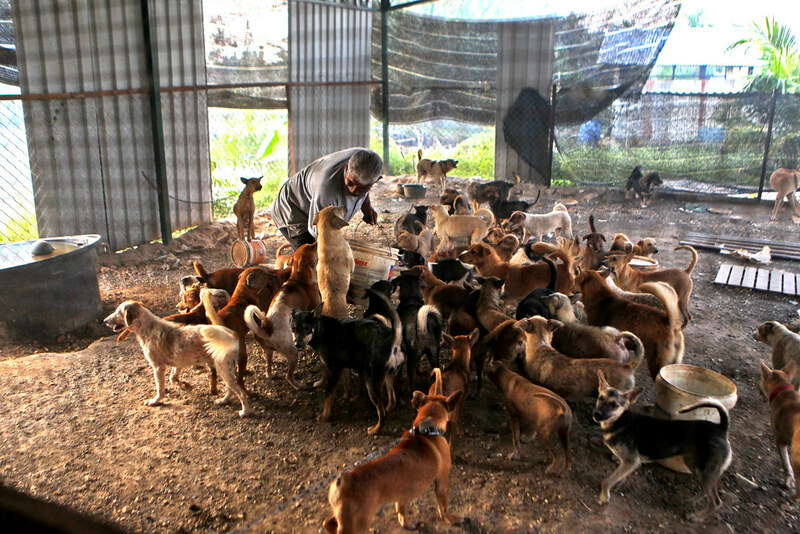 Heroes for the Strays – There are aproximately 700 dogs, 100 cats and few other stray animals in the shelter. 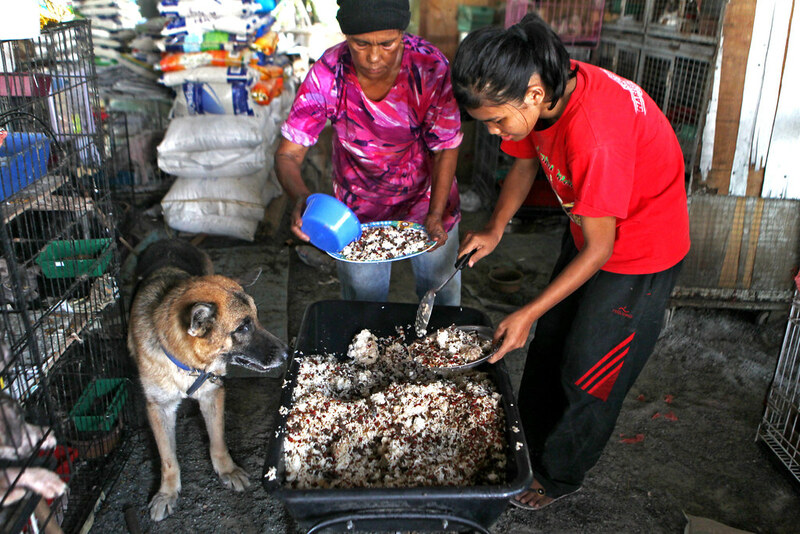 Heroes for the Strays – Mak Intan and her daugther, Nurul, prepares the food. 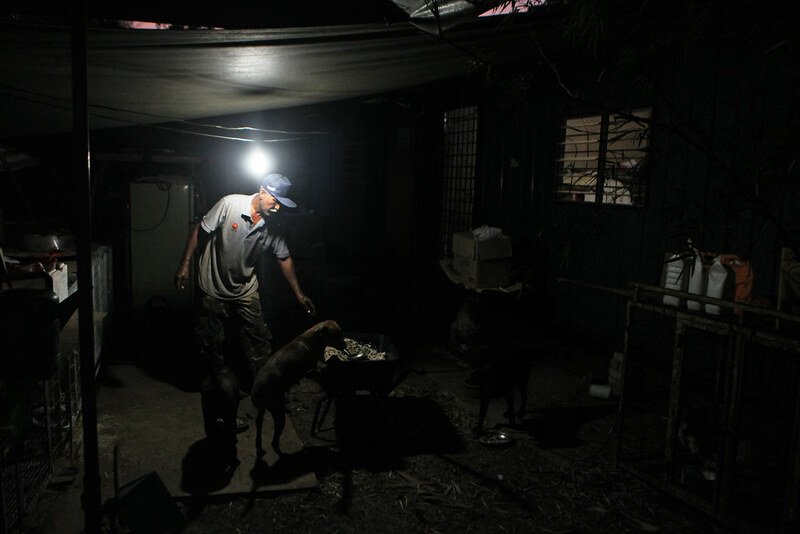 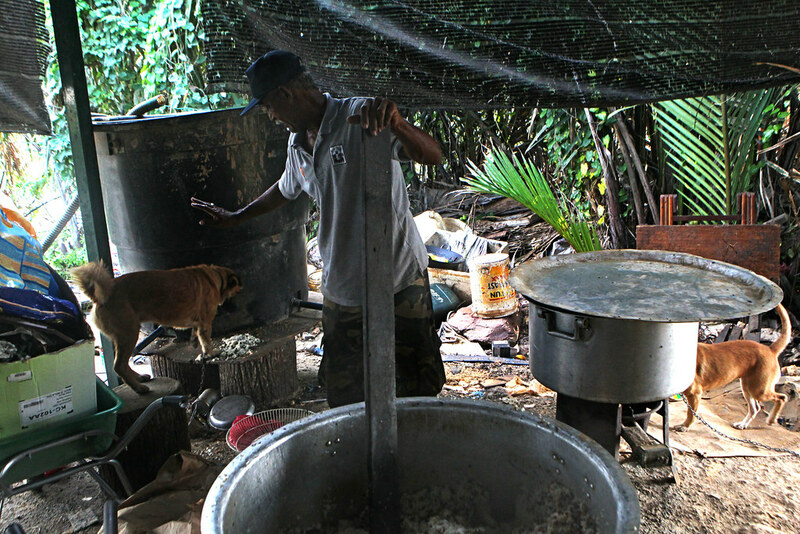 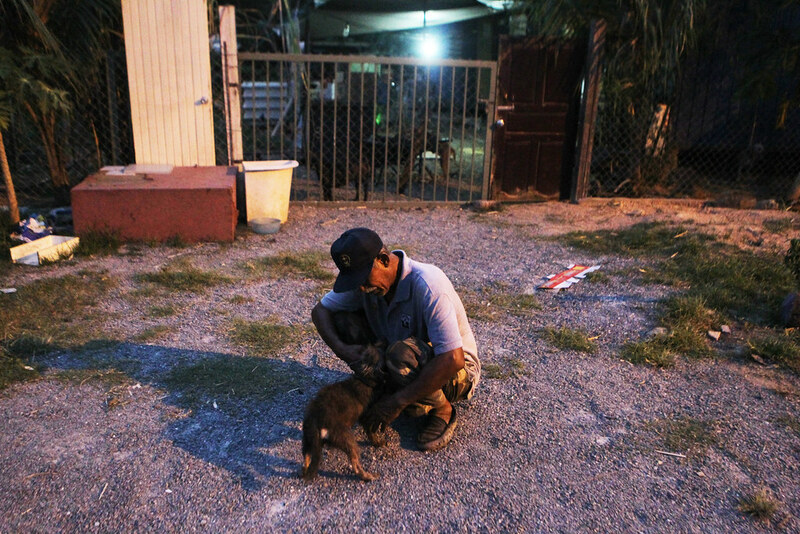 Heroes for the Strays – Pakmie calms his dog while preparing the food for all the strays animals in the shelter. 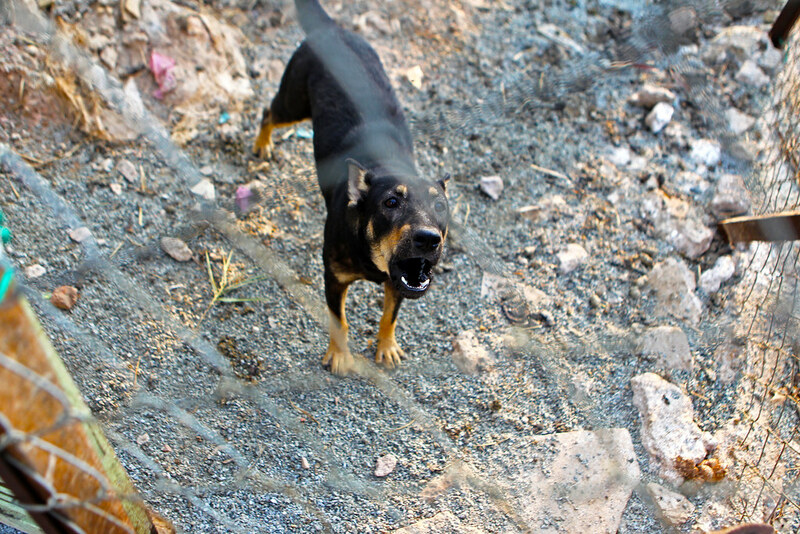 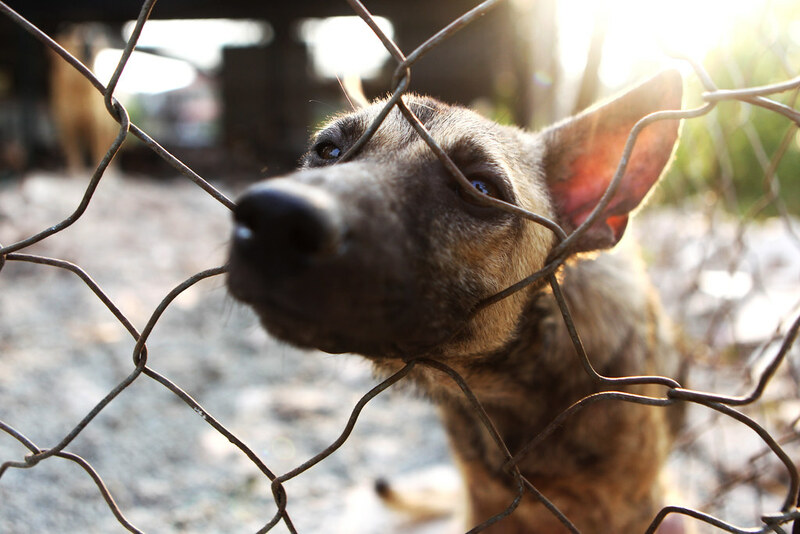 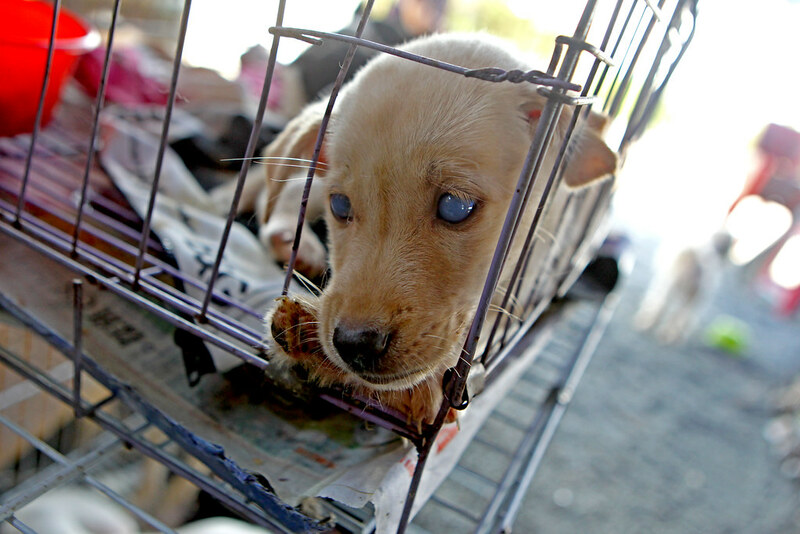 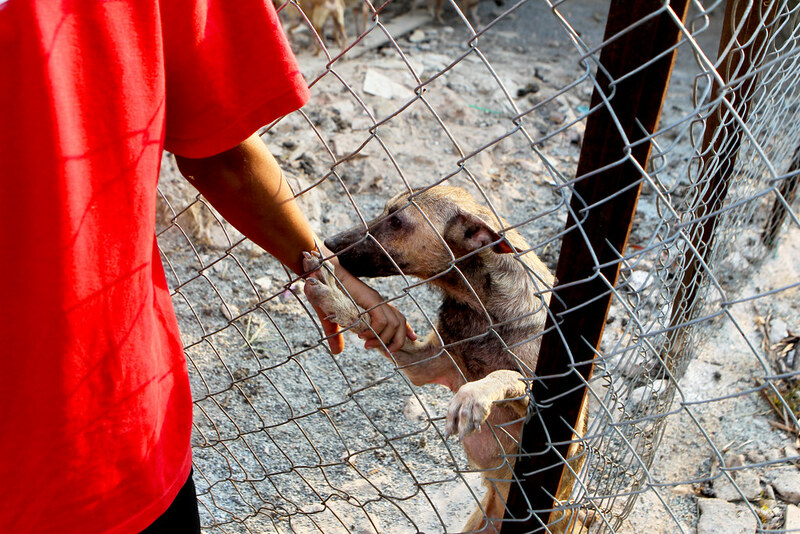 Heroes for the Strays – The dog barks as people gets closer to the gate. 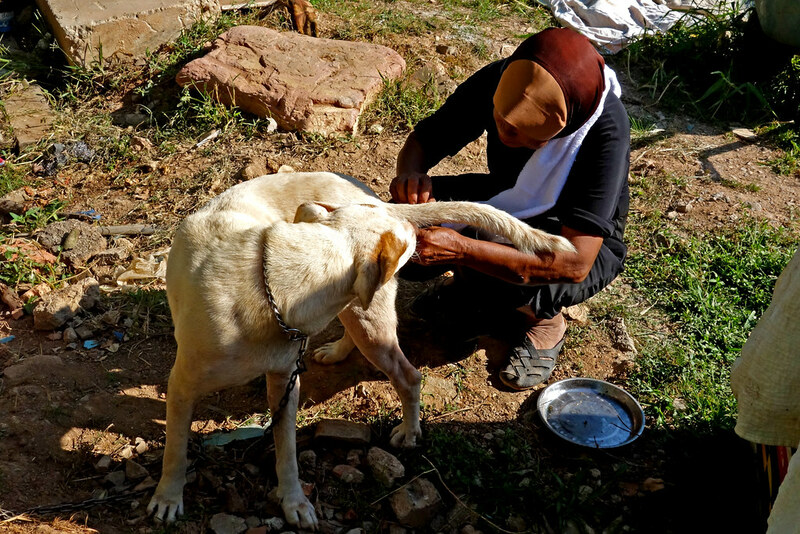 Heroes for the Strays – One of the 700 dogs that Pakmie save suffers from sarcoptic mange. 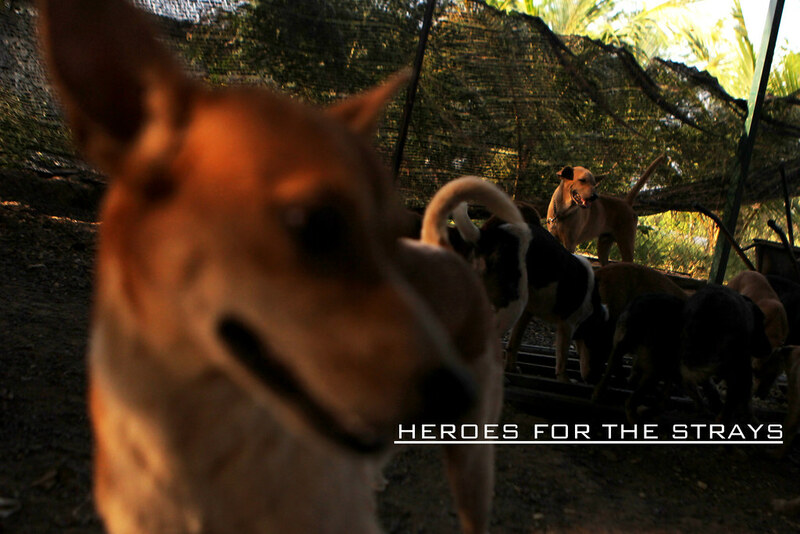 Heroes for the Strays – After years of caring, the dogs are getting more closer to Pakmie and his family. 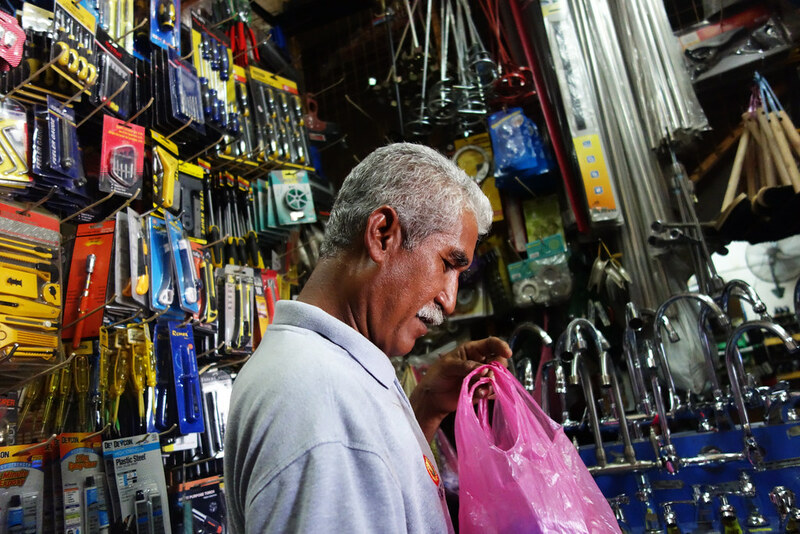 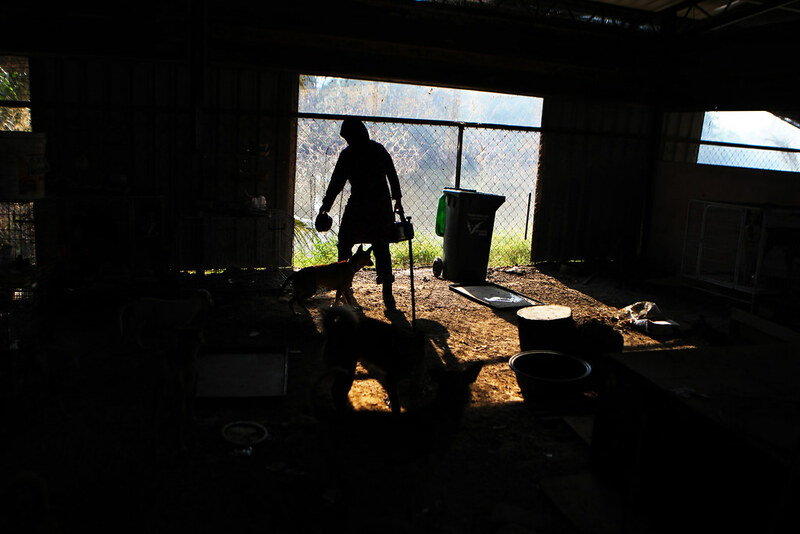 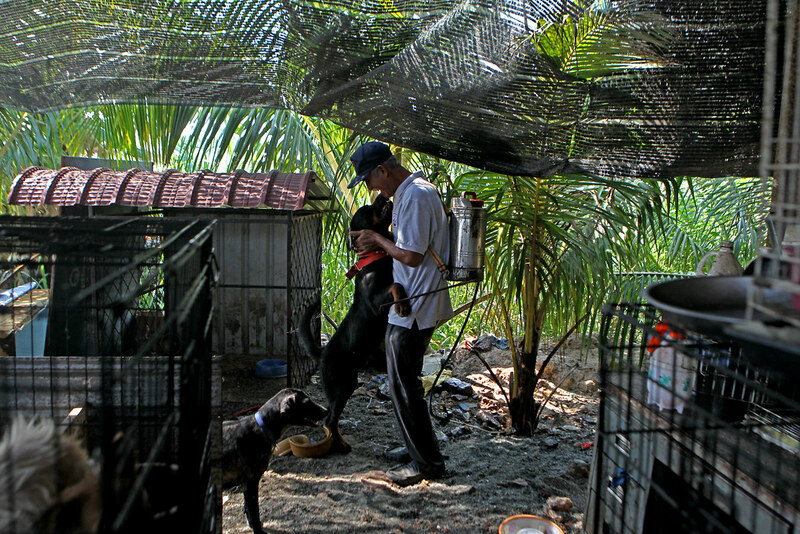 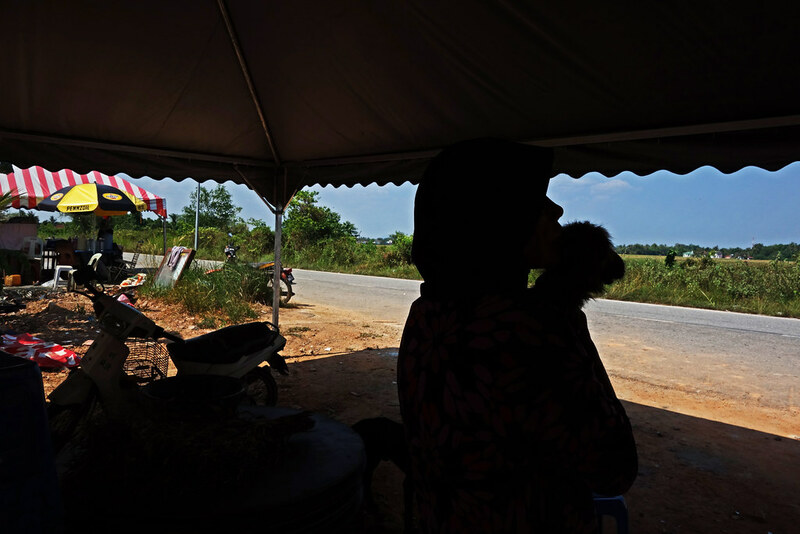 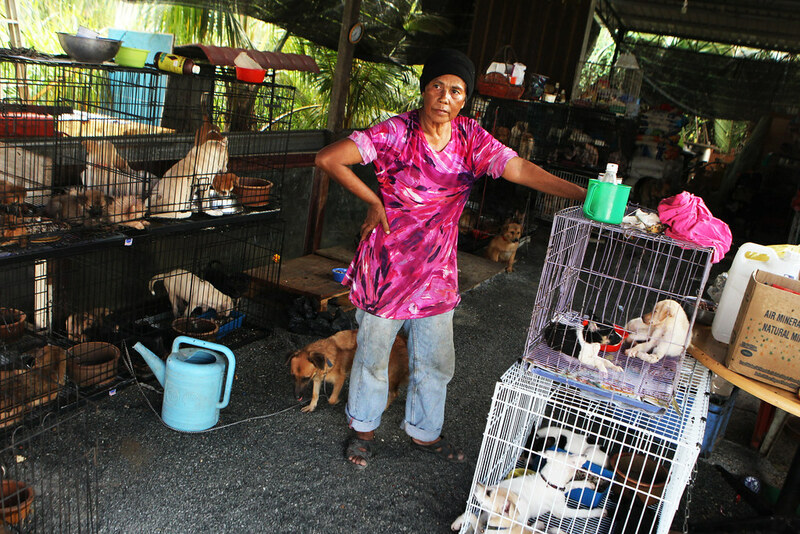 Heroes for the Strays – Mak Intan, 65, taking a quick stop before continuing to clean the shelter. 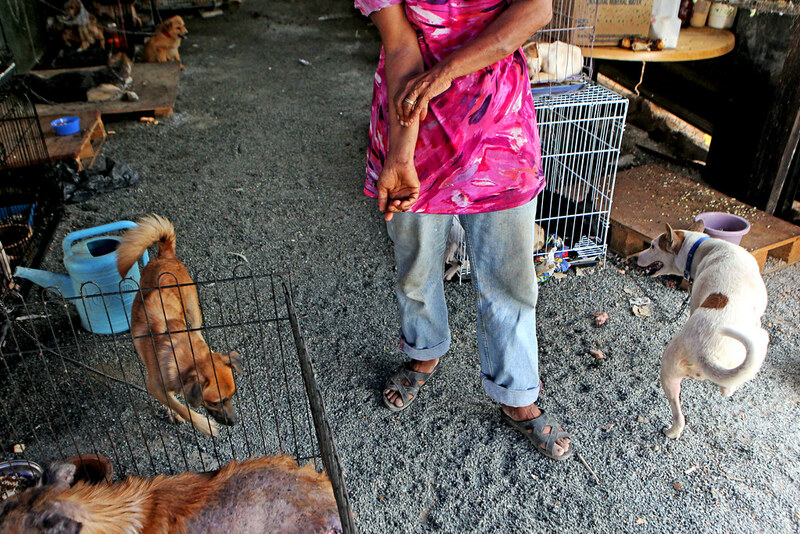 Heroes for the Strays – Mak Intan shows lump on her hand after been bitten by one of stray dog that she resecued. 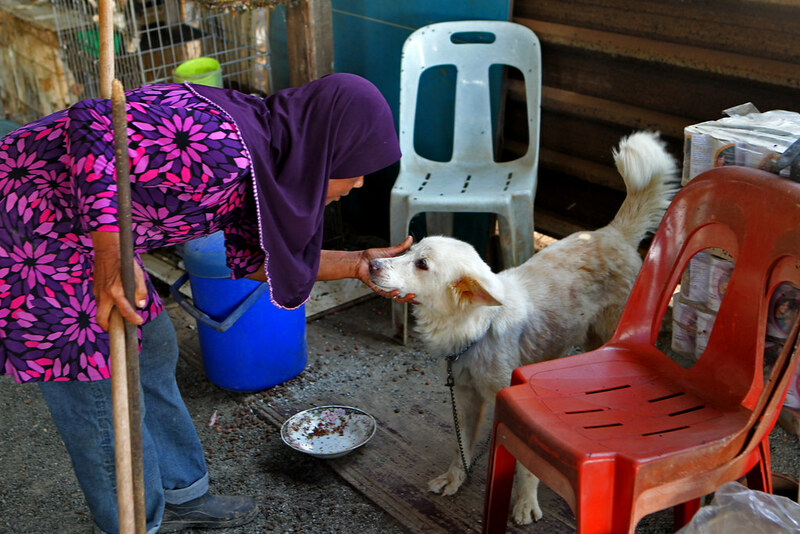 Heroes for the Strays – Fatt Choi, name of the dog, stands and greets Pakmie. 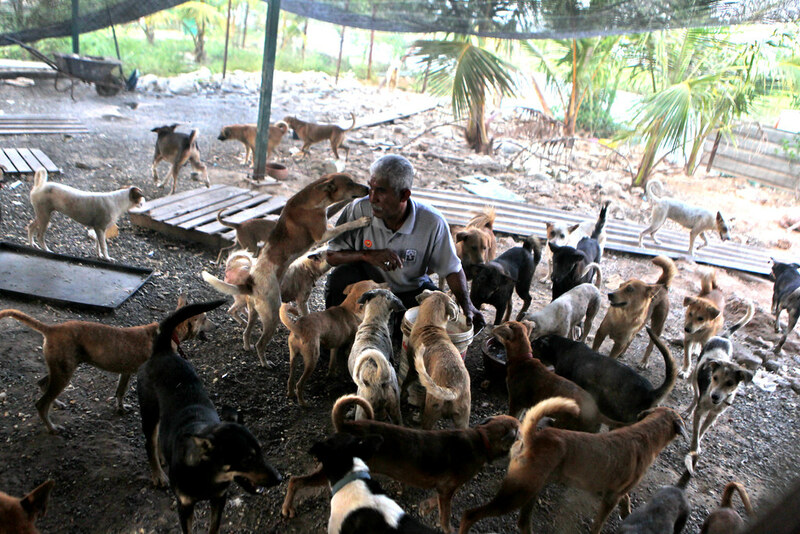 Heroes for the Strays – Donation comes in many ways. 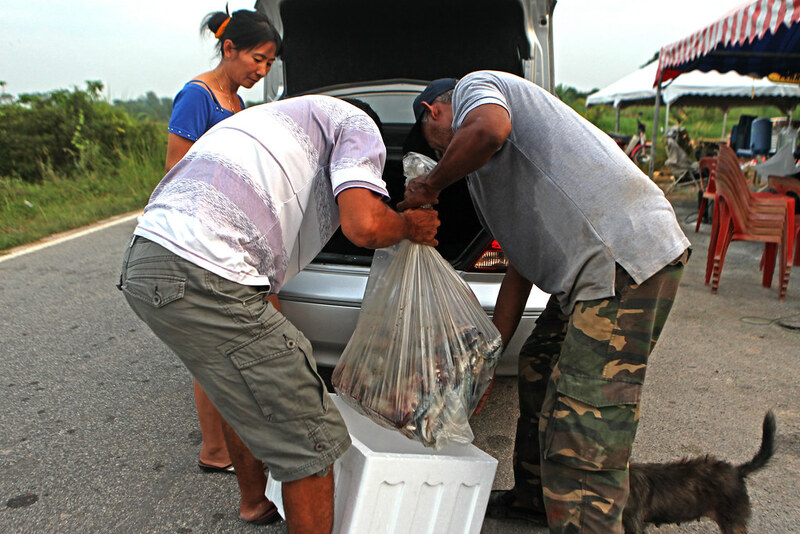 Here, a man give fishes to Pakmie for his stray cats. 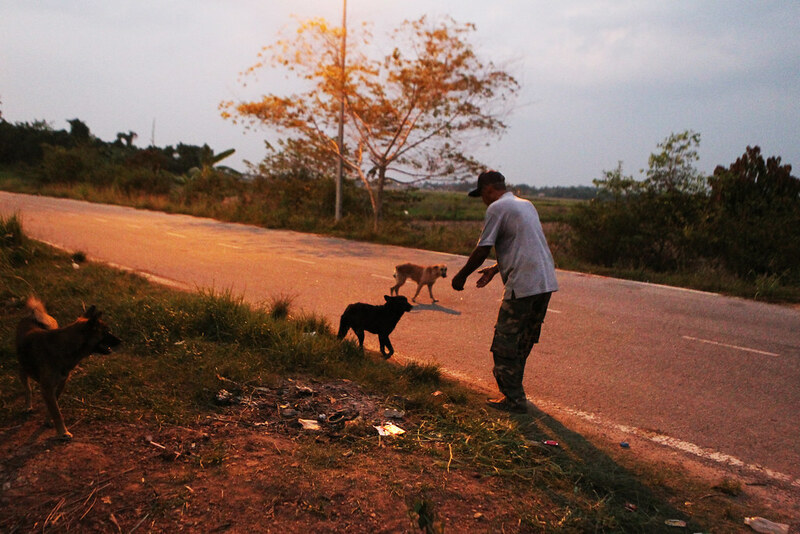 Heroes for the Strays – Pakmie plays with his dogs. 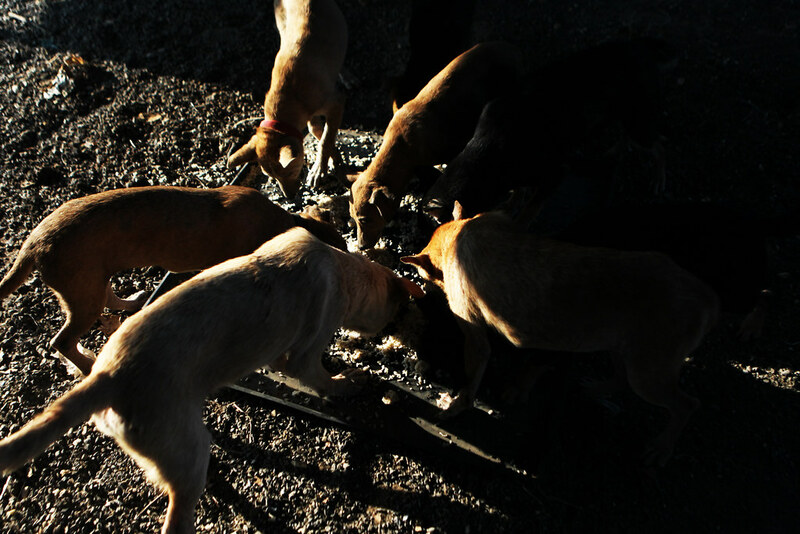 Heroes for the Strays – Pakmie gives foods to his dogs. 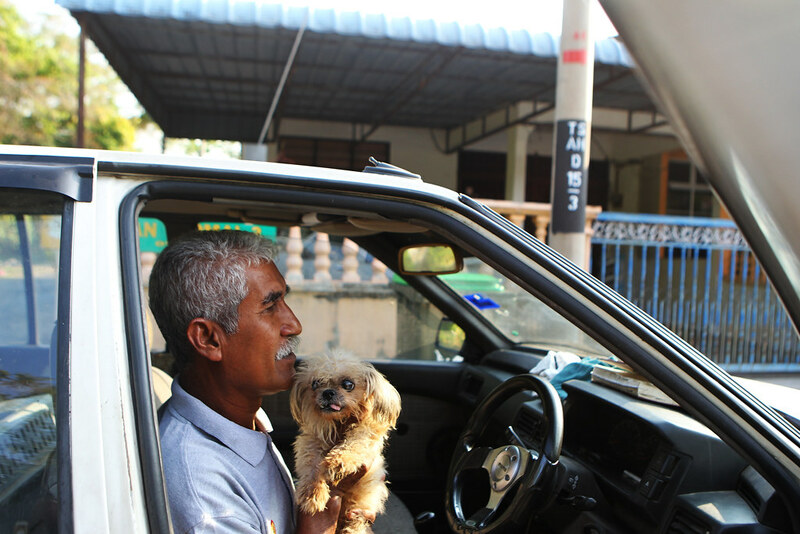 Heroes for the Strays – Once in a while, Pakmie brings his dogs with him in his car. 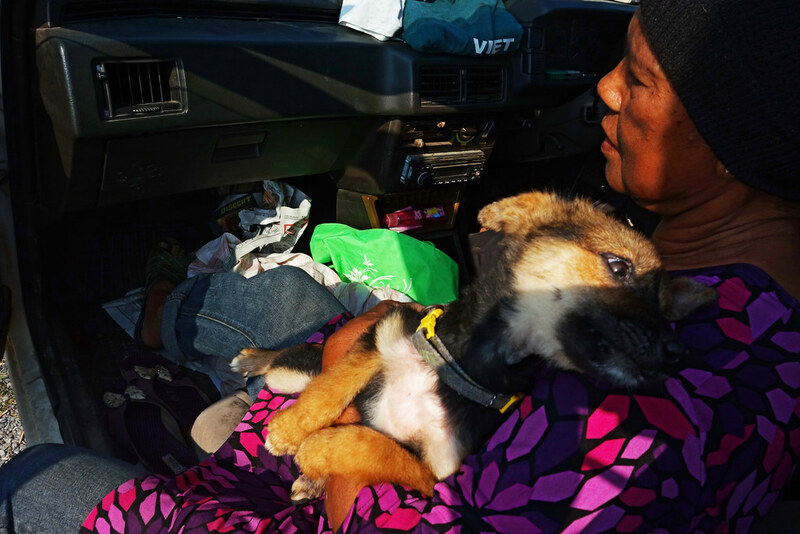 Heroes for the Strays – Mak Intan brings her dogs with her in hers car. 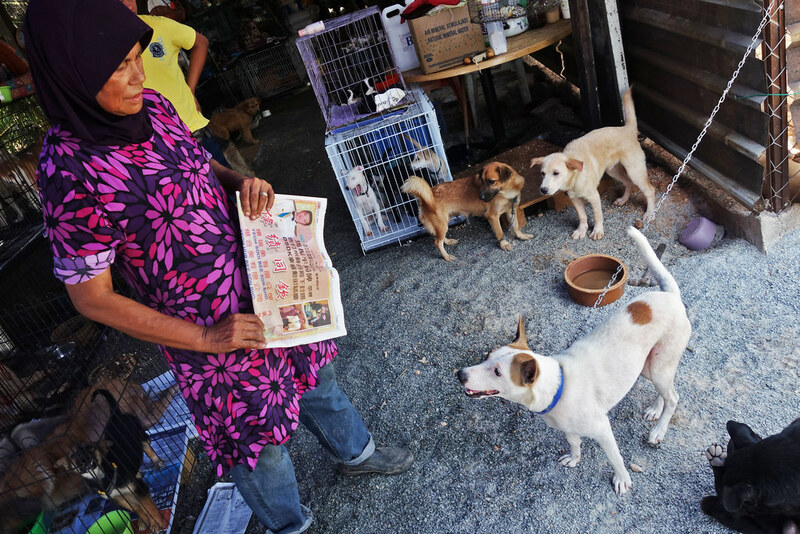 Heroes for the Strays – Mak Intan talks to Snow White. 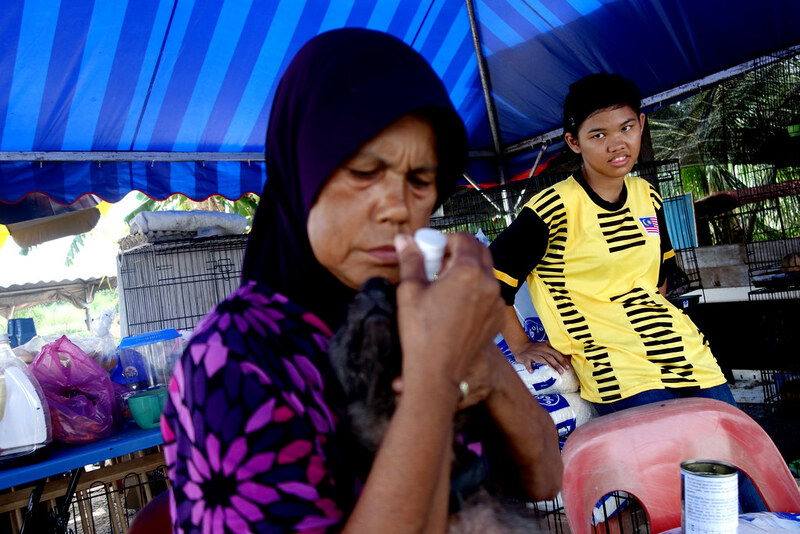 Heroes for the Strays – Mak Intan puts some medicated eye drop to one of her dogs that infected from eye infection. 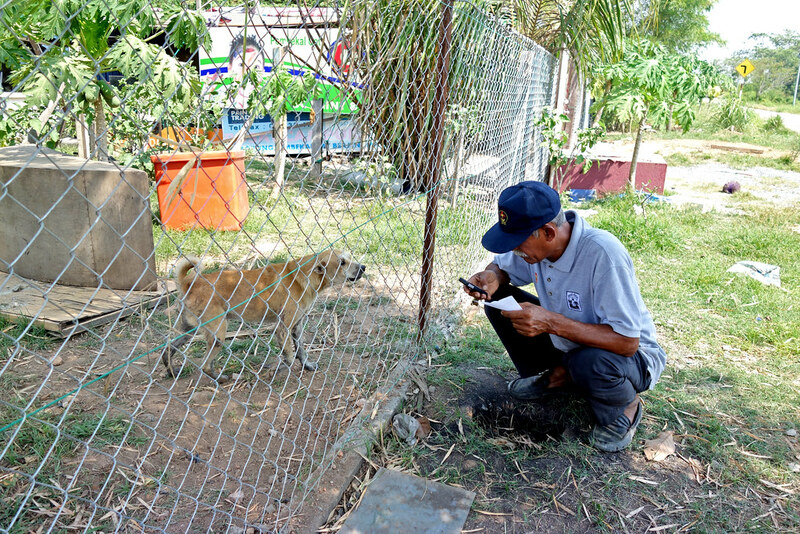 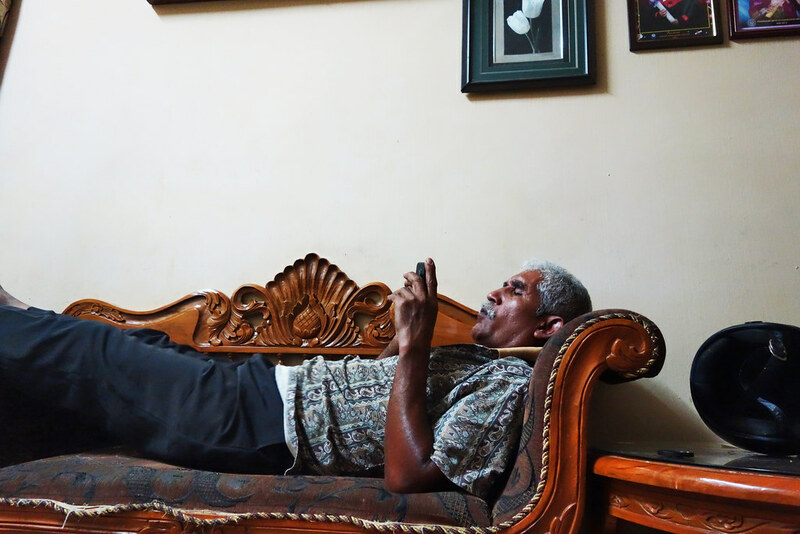 Heroes for the Strays – Pakmie replying textes. 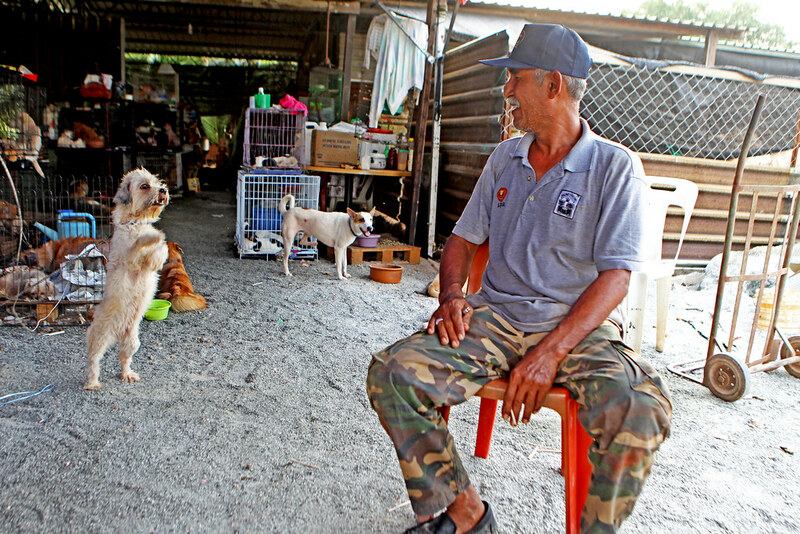 Heroes for the Strays – The dog who save Mak Intan from drowing in the nearby river.